Many people are looking for foods that cure anxiety and stress. Finding natural ways to relax will not only help your mood, but it will also improve your overall health. Oatmeal is more than just a warm and soothing breakfast item. Eating oatmeal can actually increase the serotonin levels in your brain, making you feel calmer and more centered. To ensure you don't counter the benefits, pass on the sugar and instead use dried fruit, nuts, or honey as a topping. Known for having vitamin C, oranges are another stress reducer. They strengthen the immune system, lower the levels of stress hormones, and can help reduce blood pressure. If you know you're going to be in a situation that causes you high levels of stress, pack an orange and eat it early in the day. Spinach and other dark green, leafy vegetables contain magnesium, which helps to relieve anxiety. Having enough magnesium in your diet also regulates cortisol levels, which increase when you're stressed out. Fish contains important omega-3 fatty acids, which are a helpful type of fat. Omega-3 reduces inflammation in the body and helps reduce stress and anxiety. Try fish such as salmon, herring, mackerel, sturgeon, and anchovies. Walnuts can give you a dose of omega-3 too, which is helpful if you are not a fish eater. Pistachios can lower your blood pressure and counteract too much adrenaline. Almonds work as a stress reducer. A small handful gives you a healthy dose of vitamin B.
Flaxseed is another way to incorporate the stress-reducing omega-3 fatty acids into your diet. Flaxseed is often sold in the bulk foods section of grocery stores or health food stores. It's available as whole seeds, ground seeds, or oil. You can use it as a condiment, sprinkling it on cereal or salads, or you can blend it into smoothies. At the end of the day, herbal tea is a great, relaxing choice. 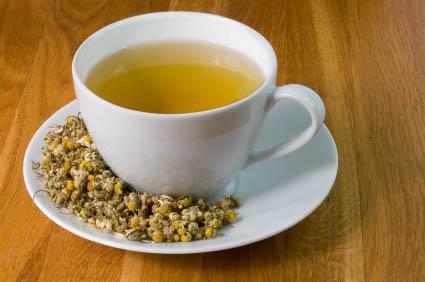 Chamomile tea is a good remedy for insomnia. Valerian root relieves stress and anxiety, and it helps you fall asleep. Other good tea choices include rose hips, lemon verbena, and passion flower. You do not want to drink caffeine if you're experiencing anxiety, so stay away from any teas or coffees that contain stimulants. Most products will specify if they are decaffeinated or naturally caffeine free right on the front of the box. Make sure you eat unprocessed, natural foods that are free from preservatives and artificial flavors. With a consistent healthy diet, your stress levels should reduce, and you'll do the rest of your body a favor at the same time.